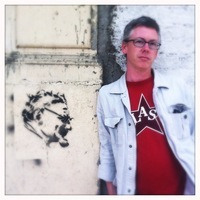 Stuart Kendall is a writer, editor, and translator working at the intersections of modern and contemporary visual culture and design, critical theory, and poetics. His books include Georges Bataille (Reaktion Books, 2007), The Ends of Art and Design (Infrathin, 2011), and eight book-length translations, including books by Bataille, Maurice Blanchot, Paul Éluard, Jean Baudrillard, Guy Debord, and René Char. In 2012, Contra Mundum published his Gilgamesh. He is currently working on a book about Andy Goldsworthy, while continuing to explore the application of critical theory to design culture and practice.